Hampton School is an independent day school for boys established in 1556 in West London. 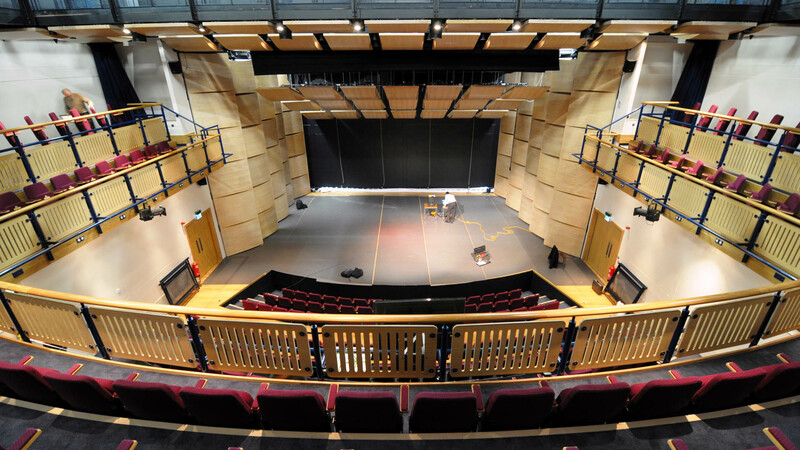 As part of the 450 year celebrations, the school commissioned a new performing arts block to include a multi-use auditorium, music practice rooms, music and drama teaching rooms, dance studio, classrooms and offices. 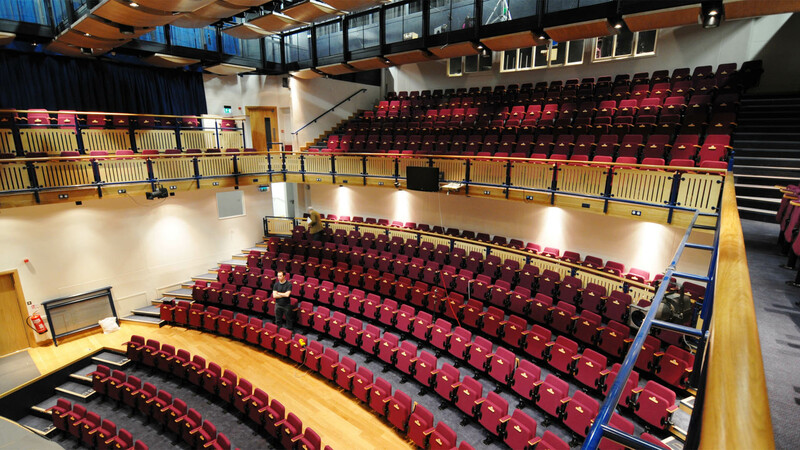 The building was opened in September 2009 to acclaim from the client, staff and pupils alike and the acoustic and theatre design have been so successful that they have been copied by other schools. 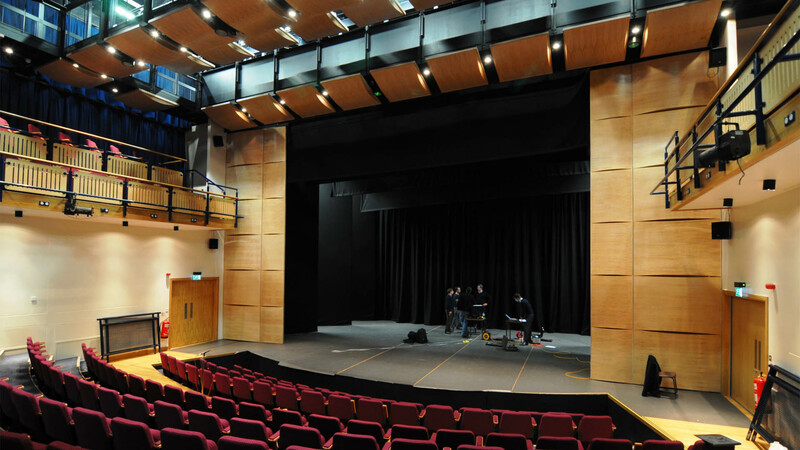 The performing arts block is based around the auditorium, which is used for classical music, theatre, amplified music, opera and musicals. 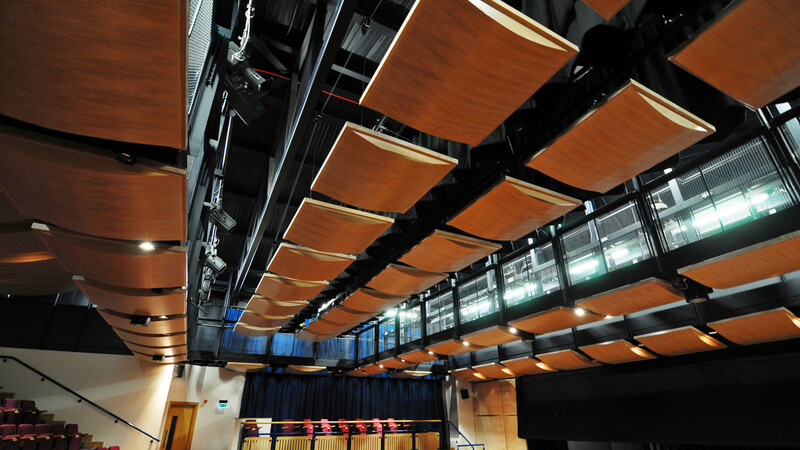 Movable reflectors and panels can be used to redefine both the acoustics and the layout of the auditorium and stage to allow for different uses. Retractable curtains and ceiling panels adjust the reverberation time and volume accordingly. An orchestra pit can be opened up to accommodate a medium-sized orchestra, and the curved seating rows in the stalls can be retracted to create a large area of flat floor. CATT Acoustic computer modelling was used extensively to evaluate the different ‘modes’ of the auditorium, providing a valuable tool to test options in a virtual environment. As well as evaluating acoustical numerical parameters, auralisations of different types of sound sources, such as orchestral music, speech and amplified music were used to provide a ‘real life’ demonstration of the effect of the adjustable acoustic elements – providing a useful tool for demonstration to the client and architect.